Although Sidney Crosby’s name can be found on a number of notable trophies, the Ted Lindsay Award, which he won for the third time on Tuesday night, is especially meaningful for the Pittsburgh captain. That certainly wasn’t lost on Crosby, who accepted the Ted Lindsay Award at the annual NHL Awards in Las Vegas. He also has an appreciation for the opportunity to speak with Lindsay, the man who presented him with the award. 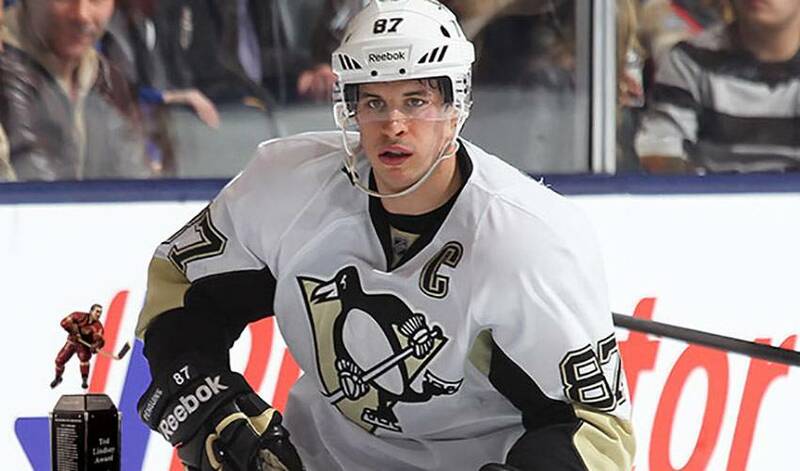 While his play speaks volumes about Crosby’s immense talent, including a 2013-14 campaign that saw the pride of Nova Scotia lead the league in points (104) and assists (68), his teammates are quick to do the talking when it comes to their leader’s impact. And although they’ve seen it countless times before, it always manages to leave them suitably impressed: watching No. 87 change the face of the game in a matter of seconds. Rob Scuderi, who played with the Penguins for five seasons starting in 2003-04, before signing as a free agent with Los Angeles in 2009-10, spoke about his return to the Penguins this past season, including his observations on suiting up with and against Crosby. With a trio of Ted Lindsay Awards, a pair of Hart Trophy honours, and a couple of Art Ross trophies, Crosby’s name is synonymous with noteworthy personal achievements. Yet, for the 26-year-old former No. 1 overall pick, his motivation comes in the form of team success, something those who play alongside him readily acknowledge.